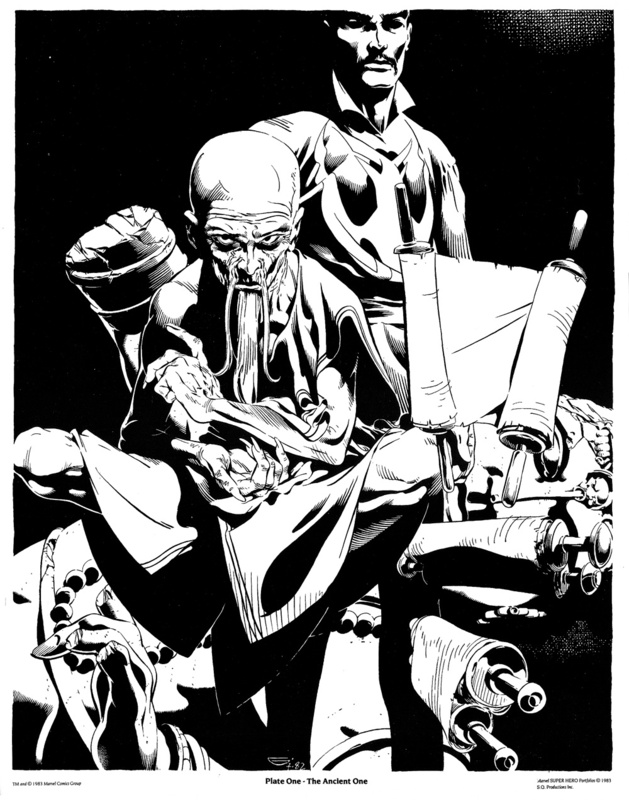 Michael Golden’s Doctor Strange Portfolio (1983) | 'TAIN'T THE MEAT… IT'S THE HUMANITY! 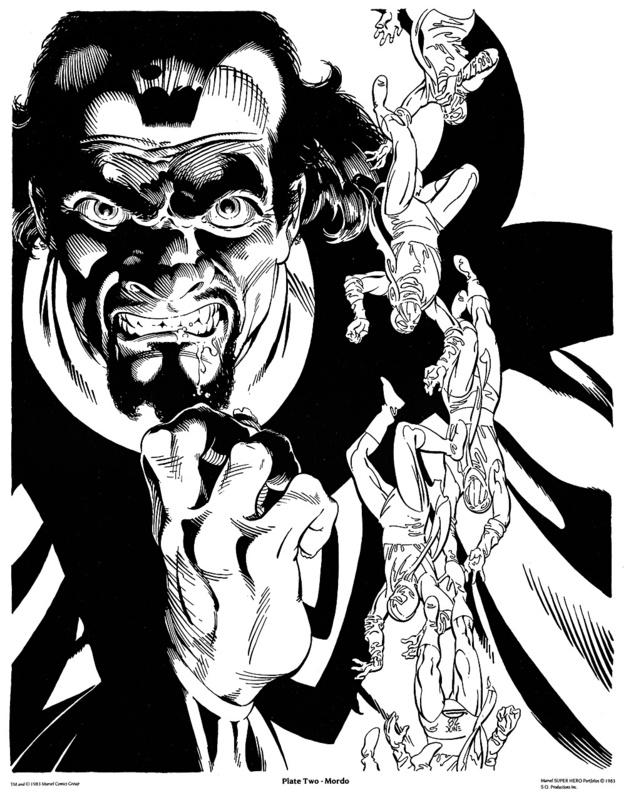 Published in 1983 this portfolio contained six black and white illustrations of Marvel Comics’ Doctor Strange by artist Michael Golden. 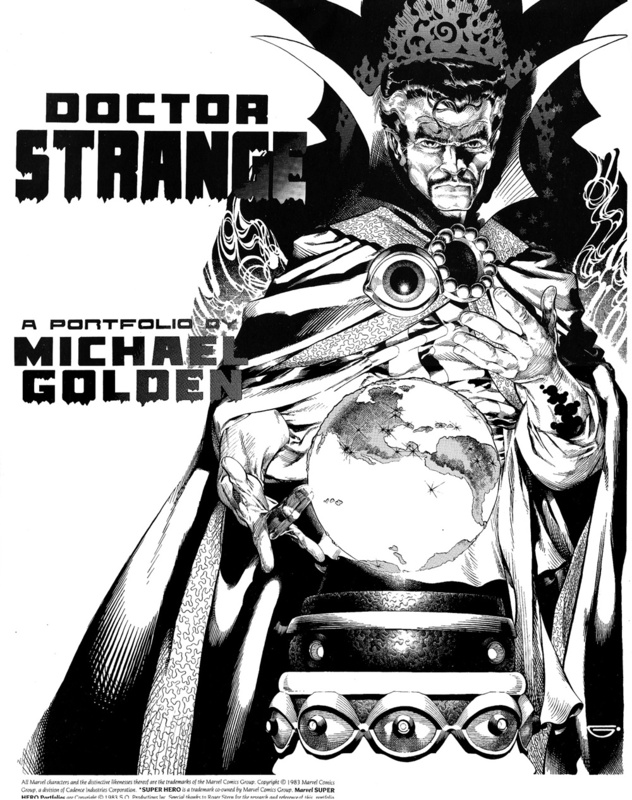 Doctor Strange, a Portfolio by Michael Golden was published by SQ Publications (SQP), who really seemed to have cornered the market in portfolios in the early 1980s. Each plate measured 14 x 11 inches and was printed on thick, bright white stock and shipped in a large paper envelope with a cardboard insert to keep the set flat. The print quality of the plates is very good with Golden’s pen and ink artwork reproduced to a high standard. 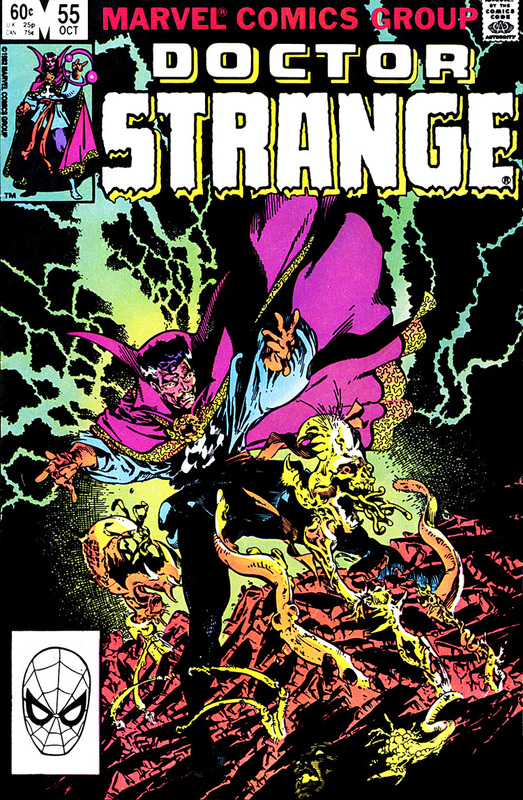 Of all the artists who have interpreted Marvel’s Sorcerer Supreme over the years Golden may not have seemed to most obvious choice to illustrate a portfolio featuring the popular character — after all he only drew one issue of the comic, Doctor Strange issue #55 (October 1982). But Golden’s enthusiasm for the project shines through with these superb drawings. The level of workmanship is very high and his richly detailed drawing style suits the subject matter perfectly. 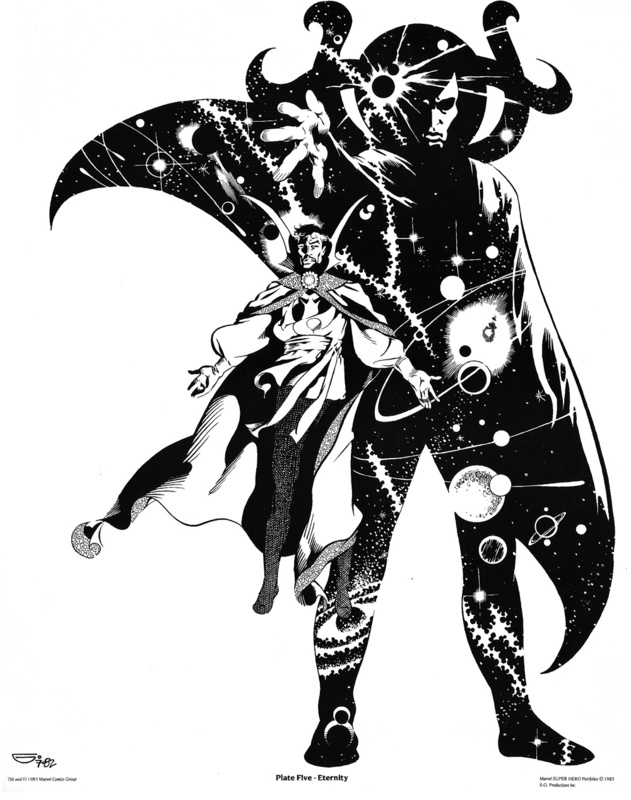 Golden is clearly a fan of Strange’s co-creator Steve Ditko and many of the plates pay homage to Ditko’s legendary run on the character from the early Sixties. 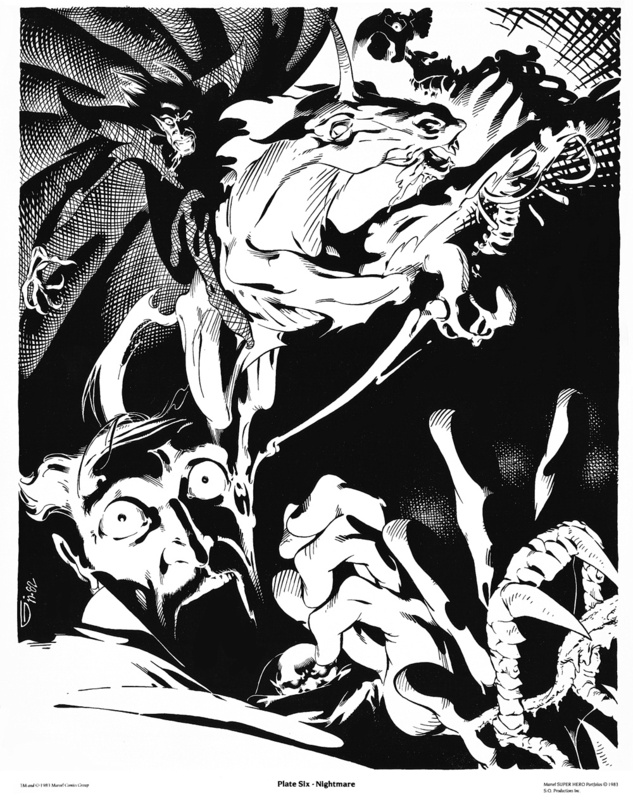 Plates 4, 5 and 6 in particular show his influence – the creatures (‘The Mindless Ones’) at the bottom of Plate 4 are pure Ditko. I also really like the level of detail and the design of Plate 3 (‘Clea’). 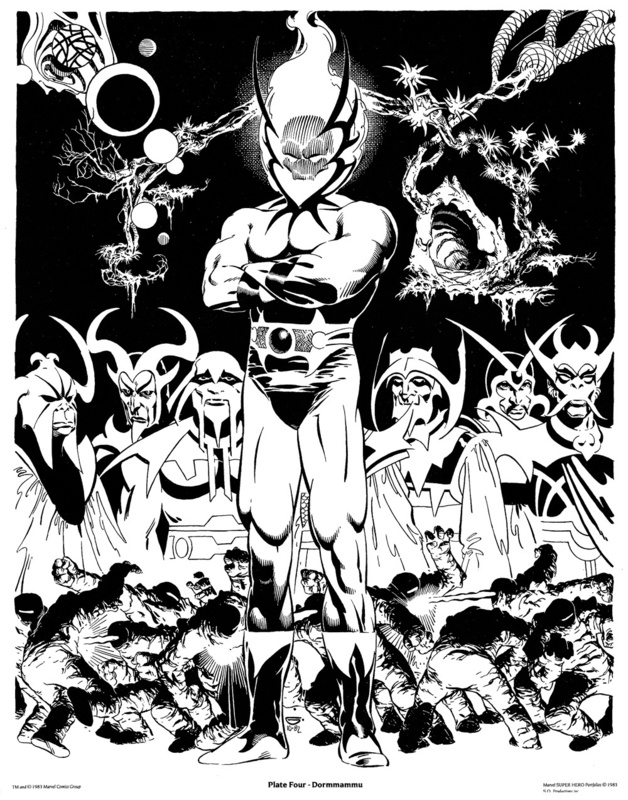 My only regret is that the brooding image used on the outer envelope didn’t warrant a print of its own. 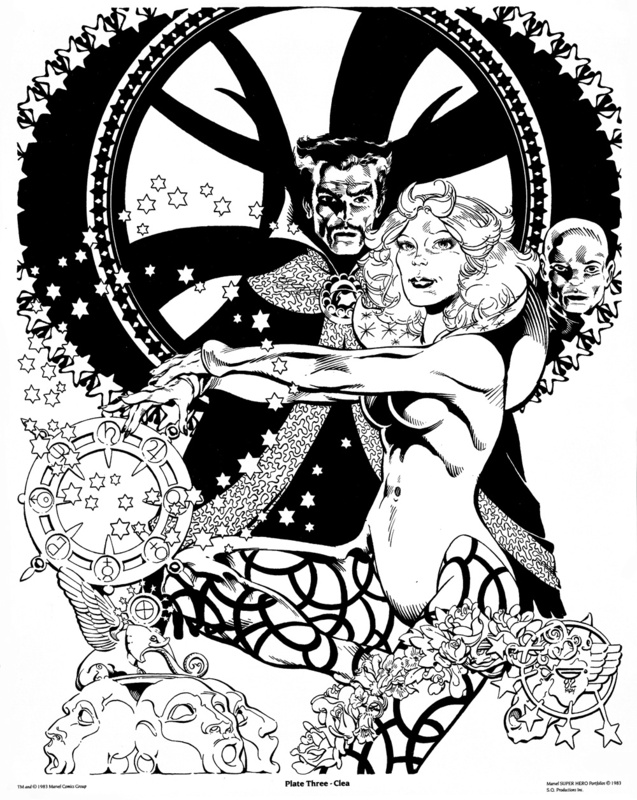 Copies of Doctor Strange, a Portfolio by Michael Golden can still be found on ebay and a set will set you back around £/$30. Or you can save yourself some cash and admire the scans I’ve posted here. Here are Plates 1-6. Click on each image for a larger version.